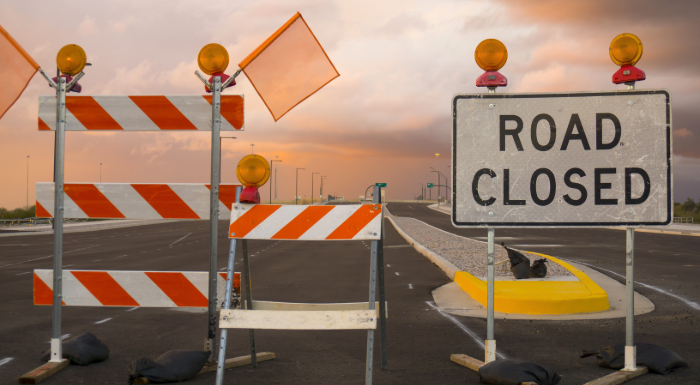 Get Past Roadblocks & Make This Your Best B2B Content Marketing Year Yet! As the leaves change colors (while the snow falls here in Chicago!) and the year winds down, we’re turning our thoughts to 2019 planning. For our clients — and ourselves — I’ve been thinking a lot about what we need to do to take B2B content marketing plans to the next level in the new year. When I meet marketers at events or workshops we run for clients, I often hear the same challenges. So recently, I hosted a webinar to help address some of those challenges and provide a few fresh ideas on how B2B marketers can bust through common roadblocks and make 2019 their best content year yet. Last year we had a great plan, but it never got off the ground. I have a hard time getting participation from the rest of the company, and my team just can’t do it all. We’ve created a lot of great content over the past few years, but we’re starting to see engagement taper off. If you’re facing any of these challenges, or some other challenges of your own, read on! As you look to advance your B2B content marketing initiatives in 2019, the first thing I want to encourage you to do is to document your plan. According to the Content Marketing Institute, marketers with a documented content plan are seeing six times more conversions than those without one. So before you go any further, make sure you’re not just thinking generally about the need for content, but also recording your own blueprint for content marketing success. It’s a great way to clarify for yourself what you want to accomplish, ensure you’re on the same page with other stakeholders, and create a roadmap you can hold yourself accountable to. Make sure to get alignment and buy-in. Alignment and buy-in are critical for an effective B2B content marketing program. This isn’t just about getting a nod for budget approval or resources. To be successful in 2019, you need to make sure stakeholders and subject matter experts are truly engaged and excited about what you’re doing.The fact of the matter is that, to create content that truly resonates with your audience, you’re probably going to need expertise and insights from others inside your organization. And to make sure your content is actually utilized, you want to make sure you’re working as a partner with your sales team. If you want to build a foundation for ongoing participation and support throughout the year, you need to start at the beginning with alignment. I’m sure no one reading this is purposely setting out to create useless content. But the stats don’t lie: As content production continues to go up, content engagement continues to go down. So even if we all have great intentions, somewhere along the line is a disconnect between the work we’re doing as marketers and the things our customers truly need to learn about their problem, understand their options and make a purchase decision. So in 2019, I want you to renew your focus on ensuring every piece of content you create is laser-focused on delivering value to your customers. Think about serving them, first and foremost. The objective of building an audience, generating a lead, or closing a deal is sure to follow. As you think about the increasingly self-service buyer’s journey, you need to align your content to the questions prospects are asking all along the way. Get inspired to create a B2B content marketing plan with new formats that will excite and engage your audience. My last bit of advice for 2019? Put down the white paper. Step away from the brochure. Think differently about creating experiences that will truly engage your audience. Even though we’re talking about B2B buyers rather than consumers, it’s important to remember that B2B purchase decisions are still highly emotional. There’s a lot at stake. These purchases are often high-value and high-risk, and involve multiple stakeholders. So you need to think critically about the type of content you need to compel someone to risk their political capital, stake their career success, or bet the lion’s share of their budget on your solution. And with complex buying groups, you may need to convince everyone from a CFO to an engineer. Odds are, they each need content that addresses their unique needs; a one-size-fits-all approach won’t get the job done. So think about how to leverage new formats across a spectrum — from long form to short and punchy, from detailed and specific to engaging and interactive. In it, I provide actionable advice on how to address each of these areas of opportunity, including a review of our Content Collaboration Process that can help you build buy-in, get active participation from subject matter experts and create a content engine that keeps chugging along all year! If by chance you’re looking for some additional help, get in touch! We’d be happy to provide you with assistance on your road to awesome content marketing. 10 Reasons Why Content Marketing Is a B2B Must!